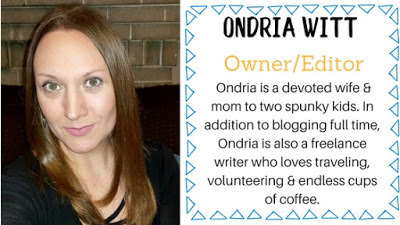 Thanks to Penguin Young Readers for allowing me to participate in this blog tour and for providing me with a copy of this book for review purposes. All thoughts are my own. We were thrilled to take part in the Blog Tour for Corduroy Takes a Bow, the newest Corduroy adventure, written by none other than the beautiful and talented Viola Davis. I loved reading about Corduroy's adventures when my sister and I were growing up. Corduroy stories were also favorites among the kids I babysat throughout high school and college. He's such a lovable stuffed bear with a kind heart! 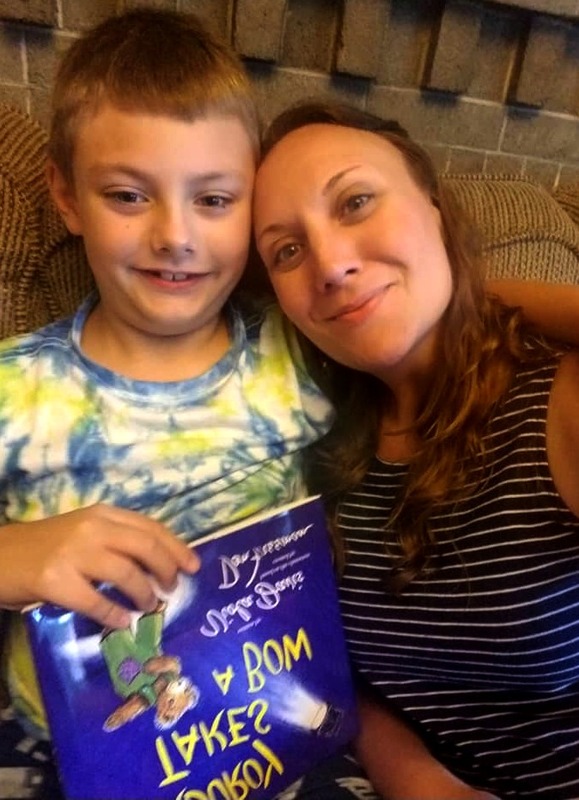 B and I absolutely loved this sweet story! 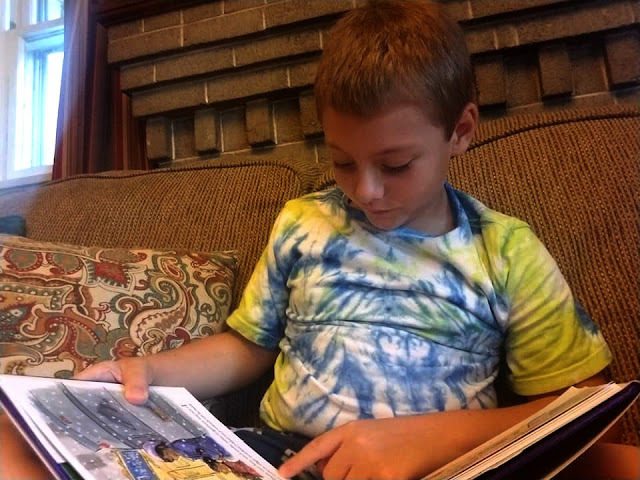 My son is in 2nd grade, and is in a 3rd-grade reading class, so needless to say, he loves to read! The two of us had an evening home together, just the two of us, pretty recently, and I thought it was the perfect opportunity for us to cuddle and enjoy this sweet book together. B surprised me by asking if he could read the book to me. He made a comfy spot for me on the couch, and invited me to sit with him and be read to. My heart melted just a wee bit! In this adorable story, our friend Corduroy finds himself at the theatre. He is accidentally left in a row of seats when his family moves closer so they can see the stage and performance better. While Corduroy tries to make his way back to his family, he, too, wants to get a better view of the performance, so he wanders a little closer. In doing so, he finds himself intermixed with all of the amazing things that take place behind the scenes to make a performance come to life! We find Corduroy crawling through the orchestra pit, placed on a table of props by a stagehand, near the costume rack, and eventually- Corduroy finds himself on stage, accidentally becoming part of the performance! At the end of the story, of course, the adventurous bear is reunited with his family, and hugged tightly! This cute book introduces kids to the arts in a really fun way! B's dad is a trombonist, and plays with two symphony orchestras, often playing for musicals and other types of performances, so this was right up our alley. It was a lot of fun to read about a bear running into musicians, stagehands, actors, etc. It gives kids (and grown-ups) a look at all of the things that happen behind the scenes to make a performance work! It was well-written in a lovely tone. I thought Viola Davis did an incredible job of painting a vivid picture of a night at the theatre in a way kids can easily understand. If anyone can speak of the magic of the stage, it's Ms. Davis. It teaches a lesson... of taking care of the things you love, as not to lose them. It speaks of adventure! We really loved seeing Corduroy go with the flow, and jump in and take part in something he wasn't necessarily comfortable or familiar with. I think it shows kids that it's okay to try something new, even if it seems a little scary. There's a place for all on the stage or behind the scenes! Viola Davis is a critically revered, award-winning actress of film, television and theater. She is the first black actress to win Tony (Fences & King Hedley II), Oscar (Fences) and Emmy (How to Get Away with Murder) awards. Davis is currently starring in the fourth season of “How to Get Away with Murder,” a role for which she became the first African American actress to receive the Emmy Award for “Outstanding Lead Actress in a Drama Series.” In 2012, Davis and her husband founded their production company, JuVee Productions, with its focus being on giving a voice to the voiceless through strong, impactful and culturally relevant narratives. Davis will next star in Steve McQueen’s “Widows,” alongside Colin Farrell and Liam Neeson. 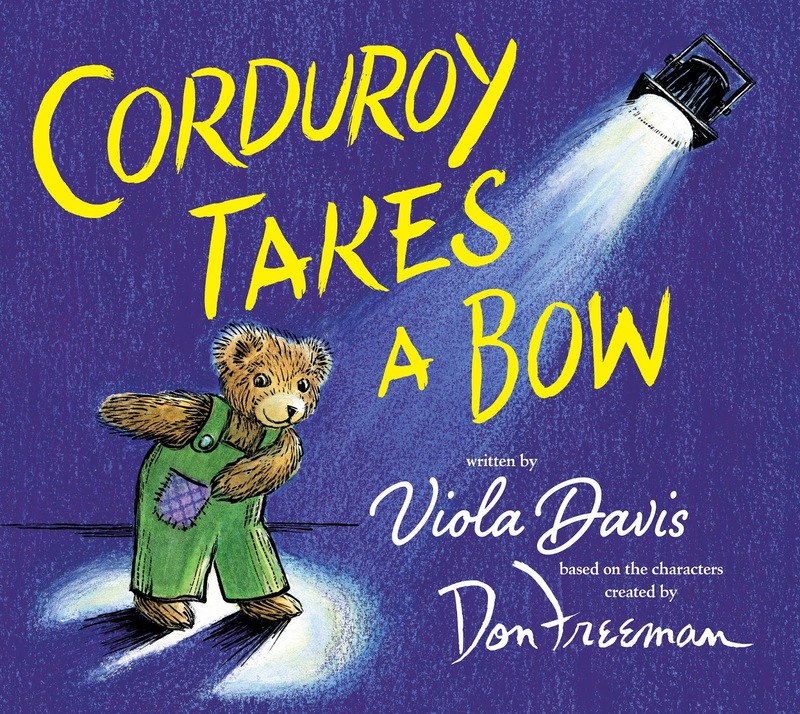 Corduroy Takes a Bow is available for Pre-Order and will be released on September 4, 2018. You will love this beautiful book, complete with breathtaking and fun illustrations! Be sure to order your copy so you can add it to your Corduroy book collection! 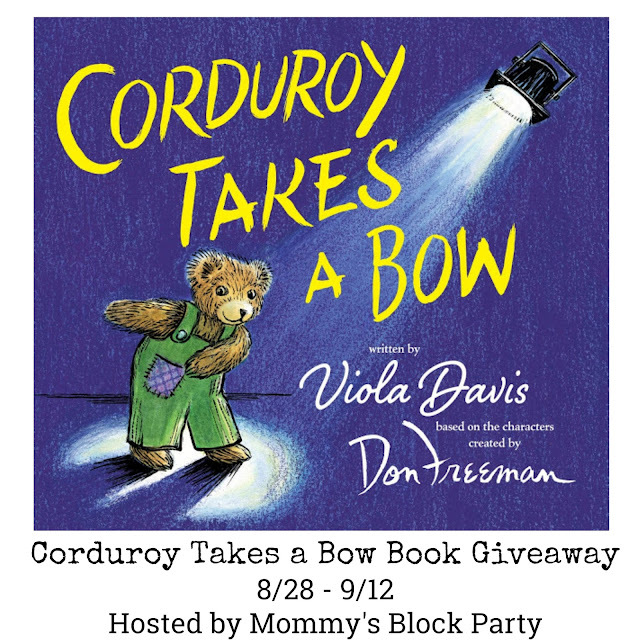 One lucky reader will win their very own copy of Corduroy Takes a Bow! Just use the handy RC entry form below to enter to win! Please kindly remember that MBP or any participating bloggers are not responsible for prize fulfillment. 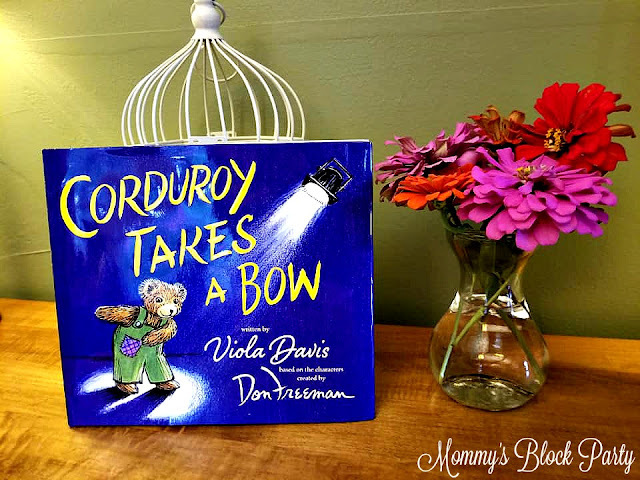 Do you have a favorite Corduroy book? I'd love to hear about the ones you love in the comments or on social media! I would love to share this with my daughter who just started Kindergarten. She is starting to read books, and I loved Corduroy books when I was a little girl. I would also love to read it to my 3 year old daughter. Some of my favorite book characters are Berenstain Bears and Clifford the Red Dog! Love Viola Davis! This book looks so cute. I'd like to share this with my great niece and great nephew :) They would love it!! I'd love to share this book with a family I often babysit. They'd love it! I love Anne of Green Gables and the Boxcar Children! I would love to read it to my little grandson he would like it! I loved all the fairy tale princesses like Snow White and Cinderella. 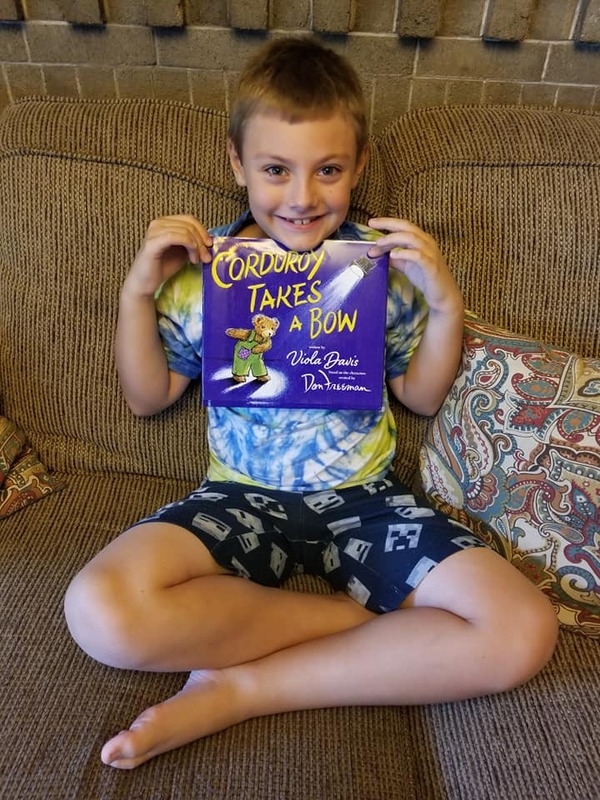 I would share this with my grandson -- Corduroy was a favorite of my son's when he was little. I would share this book with my 3 year old son! He loves Corduroy and he loves when I read to him. I would share this awesome book with my class of course!